Last year, my friend, Katie Autry, gave me a special birthday gift… a card filled with the life-saving donations from those willing to donate to charities. But within that gift, I also found a world of thought, time, and effort... love, goodwill, and empathy. And, most of all… hope. I’ll never forget how I felt that day: the overwhelming sense of gratitude, the warmth of understanding, the power of compassion, and the many possibilities of hope. This year, every chance I get, I will do these things: give back, pay it forward, and inspire change. And so, in addition to dog rescue, I’ve been able to help a lot of people this year… some truly amazing people. People who give far more than they ever take, and receive far less than they really deserve. When I look at the people I’ve helped the most, I realize that none of these people ever asked for my help… and most of them never saw it coming. That was the most rewarding part for me, because without their knowledge or request, I was able to plant seeds of hope for each of these people… seeds that would sprout as inspiration, and bloom into the change I wish to see in the world. It’s been incredible to witness. I often write about Pippa Jackson of the wonderful animal shelter, Animal Rescue Fund (ARF) of MS, because she’s an incredible friend, animal rescue advocate, and human being. When it comes to people who inspire me, Pippa is at the very top of my list. She gives everything of herself and takes nothing in return. And honestly, she makes the world a better place, just by being in it. Yet… I watch her constantly struggle beneath the weight of a world that doesn’t always appreciate the beauty and rarity of a Pippa Jackson. A world that expects of her, takes from her, and tries to break her spirit. Despite this, Pippa has always been there for me. Always. But, I never really felt like I was able to give back at the level she deserved. Then, a couple of months ago, I got that opportunity… my chance to say “Thank you for all that you do.” Due to a county breed ban, Pippa was forced to find immediate placement for 6 Pit Bulls at her animal shelter, which is no easy task for any animal rescue. She called me… not for help, but for friendship and understanding in her time of despair. That’s when I finally got the chance to give back the hope she’s given to me so many times. I offered to take all 6 Pit Bulls at Lucky Dog Rescue… to remove the entire burden from her shoulders at once. For me, that act was nothing compared to all of the incredible work Pippa does for this world. But for her, it was everything. *ARF of MS is in desperate need of donations. Please donate to this amazing shelter! Few humans or dogs have ever inspired me quite like Maria Mandel & her dog Stacey Mae. A few months ago, I found Stacey Mae’s facebook page and learned of her mission. I was so moved by her incredible work in nursing homes and children’s hospitals, and I wanted to help. I asked Maria if I could feature Stacey Mae’s mission on my blog, and I started promoting Stacey Mae on all of my facebook pages… encouraging more people to support her incredible work. At that time, Stacey Mae’s page had 1,800 Likes. Today, Stacey Mae has 11,717 fans. 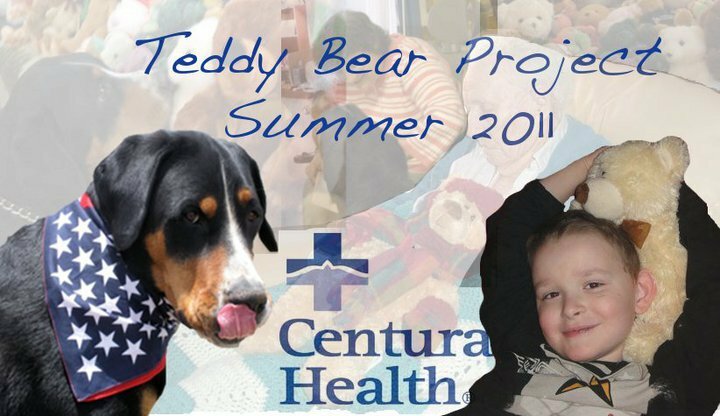 In addition, through my desire to help Stacey’s love reach even more people in need, I promoted Stacey Mae’s Teddy Bear Project. For the summer project, Maria set a goal of 100 bears. To date, she has received 1,237 teddy bears for delivery to children’s hospitals and nursing homes. And so, by paying it forward, more than 1,000 additional people were touched by Stacey Mae’s love in their time of need. Unreal. Thank you, Maria and Stacey Mae, for making this a world that I’m proud to live in. A couple months back, I received a very touching message from the father of a 13-year-old girl named Arianna. 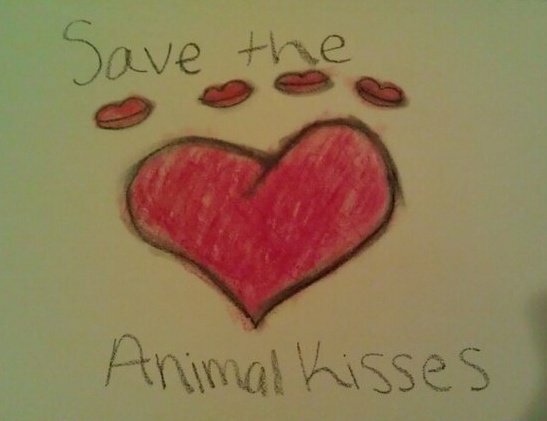 Arianna had been so inspired by my blog that she’d started an organization called Save the Animal Kisses (SWAK), in order to raise funds to donate to charities. I was beyond touched, so I quickly checked out her website and Liked her facebook page. Then, I looked over at the number of Likes: 19 fans. With a mischievous grin on my face, I developed the following goal: Get Arianna to 100 Likes by the time she gets out of school today. It doesn’t sound like much, but I knew what that simple act could do for the confidence of a 13-year-old girl with a dream of saving the world. I was once that little girl… and I wanted Arianna to know that anything is possible when you believe. Well, my plan backfired, because Save the Animal Kisses had 100 Likes within the first 20 minutes. By the end of the school day, Arianna came home to find 1,000 Likes on her SWAK page, with messages from around the world. In addition, Arianna and I became close buddies, and a couple of text messages from Arianna led me to a conversation with her parents about fostering a dog. So, I was thrilled when they recently made the decision to become a foster home for animal shelter pets, and I helped them with the pet adoption of their first foster baby. It was truly amazing to play a part in making Arianna's dreams come true. Inspiring change in one young girl will lead to a lifetime of saved animal kisses. Arianna, as always, I'm so proud of you. *Please lend your support to these incredible people/groups by Liking their facebook pages, visiting their websites, and giving to their causes. **My newest "Pay It Forward" project is for my friends at Find Pet Friendly Hotels. PLEASE LIKE their facebook page & use the mobile app anytime you need to find a pet friendly hotel for travel!!! We found all of these wonderful groups thanks to you! We have made a commitment not to eat out this month and we are headed right now to donate that money tonPippa and Arf. I saw their Facebook post earlier today hoping for dog food donations and we know how much they could use any donations they can get! Kol, YOU ROCK!!! OMG you just made my day!!! Thank you! ARF needs & deserves this! Thank you!!! Ash, you rock! Thank you so much for inspiring my baby and me too! I am so thankful for you and all these animals are too! I'm gonna keep supporting her as she Saves the Animal Kisses! We all love ya up here! Ps....I was wondering what the letter said she wrote to you....She is an amazing girl! What an inspiring person, you are, Ashley! Maybe one day I will have your courage in helping animals the way you do! God bless! KOL inspired me to give up a little of my extras and make a difference...i sent a small donation to ARF...every bit makes a difference to these rescues people, please consider even a small donation, consider fostering, volunteer some time to give these rescuers that give so selflessly to these animals a break..i always see posts on facebook that say if only i lived closer..i live 2000 miles away and sent a check...you can make a difference...stay out of walmart, bring your own lunch this week, dont stop for coffee...it is all about what you give! You are incredible and you inspire me everyday to do more for the dogs. I want to be just like you, I dream of being able to reach the goals that you have. I wish I could open a rescue... I have no idea where to start and how to get the funds necessary. If we ever win the lotto, it will definitely be the first thing I do! I know you said you received $600 in donations for your birthday last year....was that enough to get you started? Enough to get set up in a building? I would absolutely LOVE to do what you're doing... I just wonder if I could do it on a budget!